Vale completes a $2.5bn cash transaction, continuing the trend to grow through small acquisitions that are easily integrated in the company. The Debt to Equity ratio after this transition still is the most favorable of the giant players at approx. 0.83 (vs. 0.86 for BHP Billiton, 1.16 for Anglo American and 1.22 for Rio Tinto). Cash available is reduced significantly (although $2.0bn of the deal is not to be paid immediately). 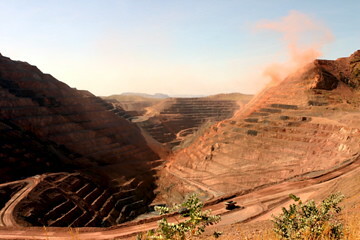 Vale continues to grow by small acquisitions and to enlarge its take of the global iron ore market. It could be a matter of time before the companies takes the number 1 position in global mining revenues. Vale seems not to be hoarding cash for a potential Rio Tinto acquisition, while BHP might reconsider buying Rio Tinto in case the Australian competition regulator decides against the proposed Pilbara joint venture.